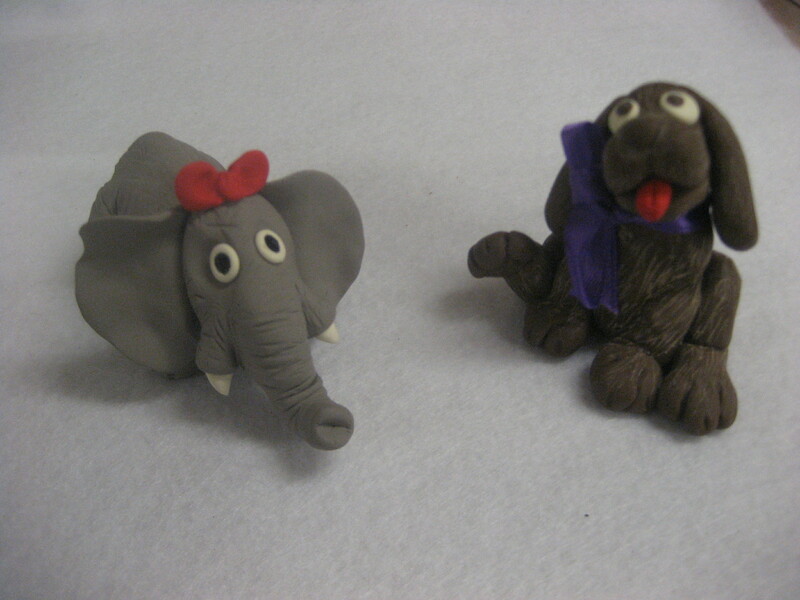 Lori has samples of an elephant, dog, fat cat, and donkey, but she will help you make any animal you like. 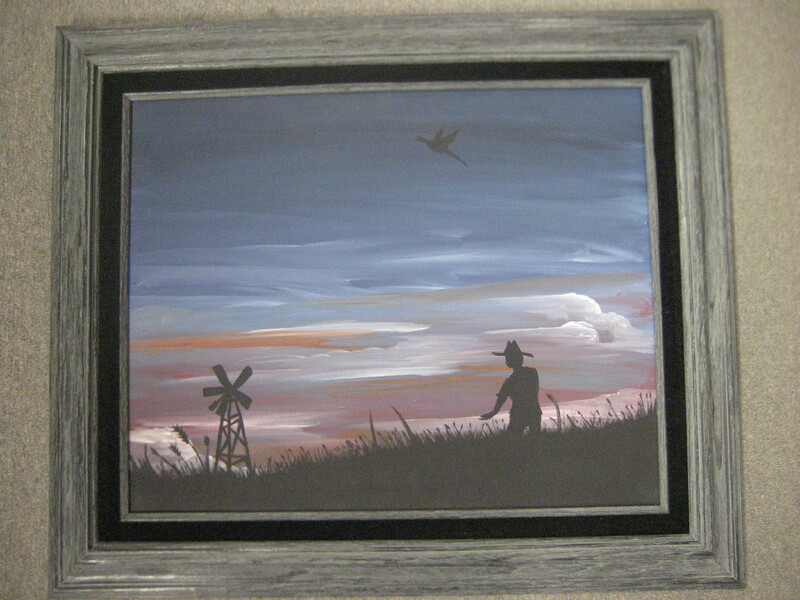 Lori assures me that this painting is EASY. Done with acrylics which dry fairly fast. If you’re not into oil paintings, then this one will be a great class, and you will have several different silhouettes to choose from. 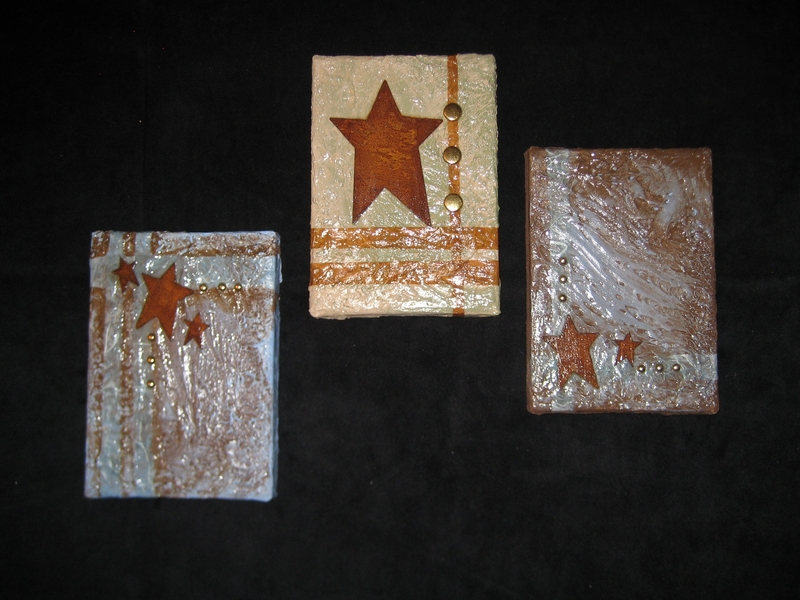 Choose from a greeting or Christmas card or several other projects. Flower Soft is fluffy, colored sprinkles, that, when glued on something make it dimensional and fun! Lori is having lots of fun with this! 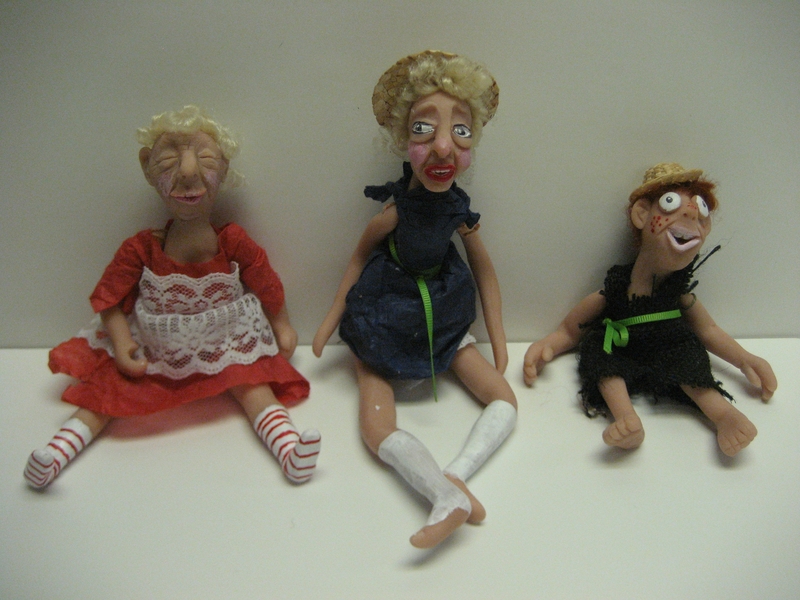 You have a choice to make an adorable little Christmas Elf from polymer clay, or the “so ugly they’re cute” dolls. The doll class is also a re-run, but ended up to be one of the “funnest” classes we have had! Lori is amazingly talented!!! This is a “re-run” of a class that we had before, but only because it was a huge hit!! 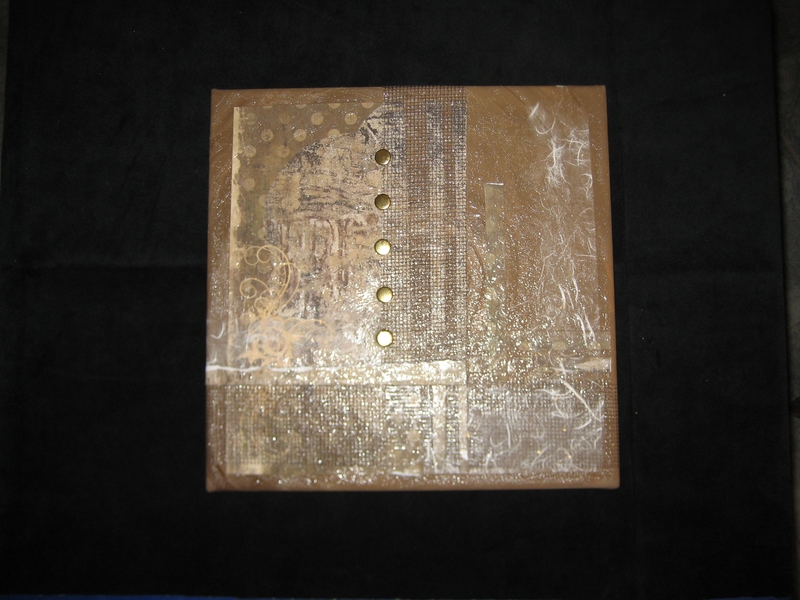 Take a stretched canvas and add all kinds of dimension to it…GREAT way to be creative and add your own touch. The possibilities are ENDLESS! !